Sureka became National Director in July 2017, after two years as Associate Director. Sureka brings executive and board level leadership experience from fifteen years in the technology sector, ranging from venture funded start-ups to large public-sector organisations. Sureka has also served voluntarily as Chair of the National Committee for UnitingWorld Relief & Development (the board), and as organiser of the first UnitingWomen national conference. Sureka’s work at UnitingWorld answers a life-long calling, weaving her global childhood, her faith, and her passion for justice with the all the skills gained through professional life. An Australian for 24 years, Sureka comes via university in England, and a childhood in Botswana, Bangladesh and Sri Lanka. 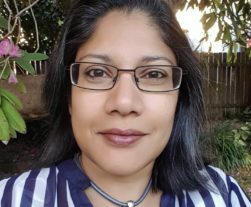 Sureka has Ph.D. in Materials Science, is a Graduate Member of the Australian Institute of Company Directors, is the wife of a UCA minister, and the mother of two kids and a dog. Jane Kennedy is the Associate Director for UnitingWorld’s Asia and Africa regions. Previously she spent 4 years as Manager of Papua New Guinea programs, and remains blown away by the beauty and resilience of the people and the place. Jane has also managed programs in Vanuatu and encountered a steep learning curve when TC Pam devastated the country in 2015. She witnessed the best in people as the UCA responded and as Ni-Van communities recovered and began thriving again. Jane now works with partners in South East Asia, South Asia and Africa. She’s perhaps had one too many tummy bugs and can’t abide airline food but is so grateful to be part of such life-changing work. Often the life being changed is hers. 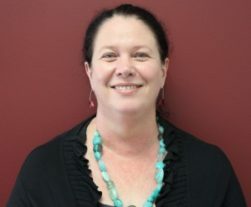 Bronwyn Fraser is the Associate Director for UnitingWorld’s Pacific region. After a career as a high school Science teacher, Bronwyn completed an MA (Development Studies), UNSW, including participation in an internship through the Centre for Refugee Research working with refugee communities in India in Human Rights Education while conducting reciprocal research for UNHCR. Bronwyn started at UnitingWorld in 2009 as the Development Education Officer. In 2012 she took on the responsibility of International Programs Manager for Gender in the Pacific. In this role, Bronwyn worked alongside Church Partners especially the Women Fellowship organisations in programs focused on Gender Equality, women’s well-being and the elimination of violence towards women, implemented through a theological framework. 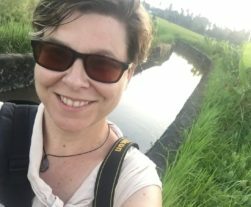 Bronwyn is currently holding the role of Acting Associate Director – International Programs (Pacific), supporting all of UnitingWorld’s international programs work across the Pacific region. Semini is a qualified Chartered Management Accountant holding membership of Certified Practicing Accountant (CPA-Aus.) and Chartered Institute of Management Accountants (CIMA-UK). She brings with her extensive experience in Accounting and Finance in the international development sector. She has held a number of Senior Finance roles in Australia and in Sri Lanka where she was born and grew up before migrating to Australia. 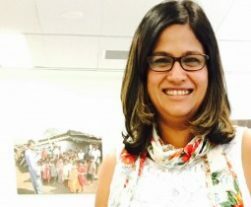 Semini has worked for World Vision, ChildFund, Act for Peace and ActionAid, and has worked on the ground in many countries, managing the finances of programs in Sri Lanka, Vanuatu, Uganda, Kenya, Indonesia and PNG. Semini started her career in the corporate sector and joined World Vision during the post-tsunami rehabilitation in Sri Lanka which was the start of her journey in the international development sector. She counts over 15 years of experience covering financial Management, system improvements, compliance and capacity building. 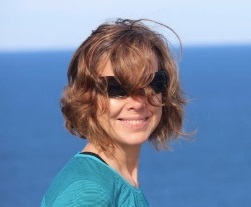 Fiona leads a dynamic team to develop UnitingWorld’s fundraising and communication campaigns. Since 2012 she’s been encouraging UnitingWorld’s wide network of people and church organisations to support the Agency’s life-changing projects. As a qualified Naturopath, Fiona’s professional background is in teaching health and nutrition programs in the corporate and NFP space. It was when leading volunteer NGO groups to India that her interest in development piqued and ever since she’s passionately advocated for the vulnerable and marginalised. Her other passion is the great outdoors having recently walked the Camino de Santiago across Spain and hiking Mt Kinabalu in Borneo! Aletia manages our partnership with the United Church in Papua New Guinea who are engaged in the third phase of 12-year-long Australian Aid funded Church Partnership Program as well as an innovative water and sanitation project in Milne Bay Province. Aletia has qualifications in International Community Development and Peace and Conflict Studies. She has previously worked with partners across the Pacific, Asia, Africa, Indigenous Australia and recently spent three months as a Human Rights Monitor in Palestine and Israel for the World Council of Churches. Alexandra previously worked on DFAT’s Australian Volunteers for International Development (AVID) program to foster returned volunteer engagement. She became interested in the work of UnitingWorld after visiting a number of projects in the Philippines where critical issues of injustice are being addressed by our partner church. In February 2016 she returned as a long-term volunteer to provide training in filmmaking and photography so stories could be shared for social, economic and political change. Alexandra now joins UnitingWorld to encourage Australian churches and individuals in their support of our life-changing projects. Debora is a physician who has worked in community development in Indonesia for 20 years. She is excited to be working alongside partners and stakeholders to see women, the poor and other marginalised groups enjoy life with dignity. Her passion is to advocate within communities so that children can have access to education, families can have access to health care and sustainable sources of income, and everyone’s voice as part of a community is heard. 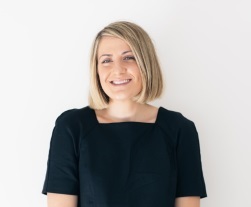 Ellen manages UnitingWorld’s compliance processes – ensuring we meet standards for the ACFID Code of Conduct and Australian Government accreditation. She also works with staff across UnitingWorld to ensure the lessons we learn through our monitoring and evaluations are incorporated into our ongoing programs. 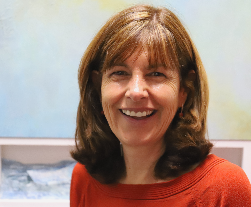 Ellen comes to UnitingWorld with extensive expertise in NGO programming and compliance through her work with the Australian Aid Program, including eight years as Director of the Community Partnership Section. She has over 25 years’ experience in development, in Thailand, Laos, the Philippines and Papua New Guinea. Hindra’s professional background is in construction and civil engineering, and for the past 18 years has applied his project management experience working in humanitarian organisations. 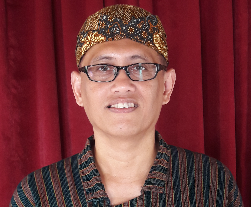 Before joining UnitingWorld he worked predominantly in community development and disaster management programs in rural and urban contexts across Indonesia. Hindra’s role at UnitingWorld has him managing poverty alleviation programs; health, nutrition and hygiene programs; refugee and displaced peoples programs, and emergency and disaster preparedness programs. Hindra loves working with a wide range of people and partners from different areas and cultures and hopes his role at UnitingWorld gives him broader experiences to help him provide better service and support. Howard is a Volunteer Ambassador with UnitingWorld and in speaking to Churches and groups he helps to make connections for change. Howard was a Science teacher with the NSW Department of Education and later moved to teaching Religious Education at Newington College and then Pymble Ladies’ College. More recently, he was relieving Chaplain at MLC School Burwood. Howard enjoys music and sings with Macquarie Singers. He has written textbooks for High School Science and Religion courses. He believes that an important aspect of UnitingWorld is that in providing the programs around the world the uniqueness of each individual human and their importance as the created image of God is acknowledged. Marcus coordinates the production of UnitingWorld’s communications, social media, media relations and advocacy. He has a background in human rights research and communications, with previous roles at the University of Sydney, Oxfam Australia and the Public Affairs unit of the United Nations Assistance to the Khmer Rouge Trials (UNAKRT) in Cambodia. 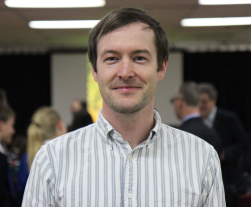 Marcus holds a Master of Human Rights from the University of Sydney and recently completed a thesis investigating the role of religion in peacebuilding and human rights monitoring in Papua and West Papua, Indonesia. He tweets at @m_arcusc. Megan officially joined the UnitingWorld team in January of 2014, after volunteering for some time. Originally from the United States, Megan completed her Masters in International Law and International Relations with a focus in human rights law at the University of New South Wales. 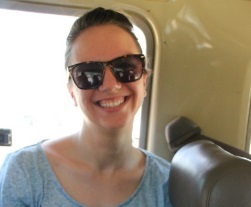 Megan manages multiple programs with our partners in Africa and the Pacific. Programing responsibilities include a wide range, encompassing gender, health, livelihoods, and peacebuilding. Seforosa is a Fiji born Rotuman who spent her formative years growing up in Lautoka, the Western side of Viti Levu in Fiji. These formative experiences continue to inform Sef’s theological reflections on interfaith and cross-cultural relationships, and gender and culture from a diasporic perspective of a migrant who calls Australia one of her homes. 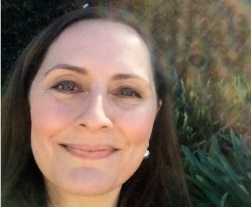 Sef graduated with a PhD in theology at Charles Sturt University in 2015. Sef is a Research Fellow of the Public and Contextual Theology Research Center (PaCT), Charles Sturt University, Australia. 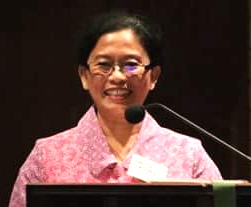 She is a visiting lecturer with the School of Theology, United Theological College Charles Sturt University in theology. Sef is a CTI Fellow and was a resident member of the 2017-2018 Inquiry into Religion and Migration at the Center of Theological Inquiry, Princeton. In her current role, Sef continues to wrestle with the challengers of gender-based violence, women in leadership, climate change and the powerful role theology can play in bringing about transformative change. 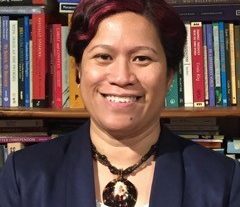 Sef is currently researching the impact of the Christian doctrines of sin, salvation and eschatology on current understandings and action relating to climate change, with particular emphasis on disaster preparedness and climate induced migration in the Pacific. Cath Taylor has been sharing UnitingWorld stories for six years with an eye to making everyday life among our partners come alive for supporters. With degrees in communications, theology and teaching, she currently oversees our Lent Event program and writes for our major campaigns. She has worked with several denominations in pastoral ministry, school teaching, social justice/advocacy and comms. Cath is an absolutely typical wide-eyed wanderer with one husband, two daughters and three or more animal companions. All this brings her great joy. 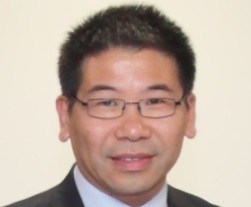 Dr Zhang is a minister of Uniting Church serving as the Assembly Theologian in Residence. In this role, he serves across three parts of National Assembly: Assembly Resource Unit; UnitingWorld; and UnitingCare. Dr Zhang grew up in Shanghai, moved to Australia and studied theology and philosophy in Melbourne and Boston. He taught theology and supervised postgraduate studies as a doctoral supervisor at the University of Divinity. Dr Zhang brings to UnitingWorld a strong capacity to reflect theologically and to help the whole Church understand more about the transformation of Christianity in Asia. 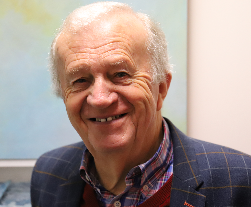 Andrew has held a number of senior administrative roles in Universities, most recently before retirement as Pro-Vice Chancellor (Research) and Vice President (Research) at Murdoch University and the University of Tasmania. He is a Fellow of the Australian Institute of Company Directors. 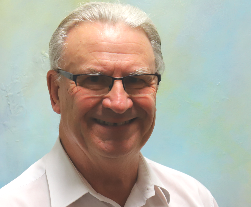 He has also been involved in leadership in the councils of the Church since the time of Union, including as chairperson of the Presbytery of Tasmania. Margaret has been Chief of Staff to three politicians over 17 years including the Hon. Bob McMullan when he was Parliamentary Secretary for International Development Assistance from 2007 – 2010. Margaret currently serves on several boards and has been Chair of the Church Council at Canberra City Uniting Church, where she has been an active member for more than ten years. Tina is well known in the Uniting Church for her ten years of service as Executive Director of the Board of Mission of the Synod of NSW and ACT. 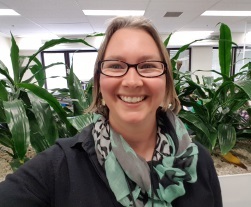 She has a background and qualifications in education, community development and social welfare and is currently Resilient Families Service Delivery Lead for Uniting NSW/ACT. 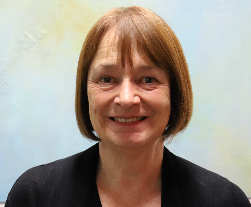 Tina has 30 years’ experience in cross-cultural relationships within and outside the Uniting Church. 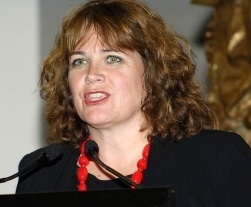 In her previous role she regularly interacted with UnitingWorld and undertook a review of social services in the Free Wesleyan Church of Tonga. Ms Rendell brings particular expertise in the area of cross-cultural relationships. 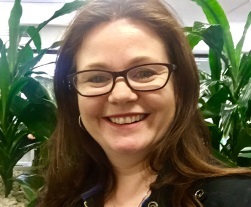 Colleen Geyer has held roles including Director of Mission at UnitingCare Queensland, Associate Director at UnitingCare Australia, and National Consultant for the Assembly Gospel and Gender Unit. She has worked for the Uniting Church and its agencies since 1995 holding positions at state and national level. Since becoming Assembly General Secretary, Colleen has sought to improve national cooperation and resource-sharing across the Uniting Church. 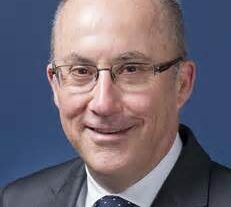 Following a public service career of approximately 15 years David worked for almost two decades as a lawyer in private practice principally in the commercial, corporate and government enterprise sectors, including over six years as a partner with a leading national firm. Subsequently David served as a director in the agribusiness sector, taking a particular interest in governance, strategy setting and policy development. 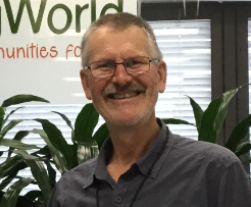 An active member of various UCA congregations for over 30 years, David currently serves as the Chair of the Board of Margaret Jurd College (NSW) Limited and on the UnitingWorld Relief and Development National Committee. James has over 30 years’ experience in international diplomacy and development including positions such as Deputy Secretary of DFAT; Deputy Director-General of AusAID; Australian High Commissioner to Fiji (and Permanent Representative to the Pacific Islands Forum Secretariat); Australian High Commissioner to Solomon Islands; Special Coordinator of the Regional Assistance Mission to Solomon Islands (RAMSI); Australian Ambassador to East Timor; as well as diplomatic positions in Beirut, Lebanon; Jakarta, Indonesia; Port Moresby, Papua New Guinea; and Port Vila, Vanuatu. He graduated from the University of Sydney in 1982 and was awarded the Public Service Medal in 2002. He currently works as a private consultant. 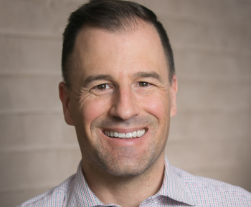 John is Managing Director and Equity Partner of Dewings Pty. Ltd, Adelaide, a firm of Chartered Accountants. He has been employed by that organisation for a number of years including as HR Manager and Practice Manager. From 2000 to 2002 he undertook theological study at Morling College in Sydney, graduating with a Bachelor of Ministries and has subsequently completed a Master of Divinity through the Australian College of Theology. Former General Secretary of the NSW/ACT Synod and former Connexional Secretary of the Free Wesleyan Church of Tonga, Paul served as a Minister in rural, regional and inner suburban congregations, spent six years on the staff of the Australian Council of Churches and three years on the staff of the NSW/ACT Board of Mission. 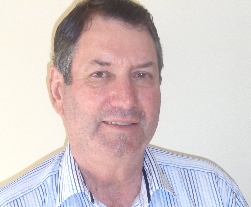 Paul also chaired the Synod Budget Committee and the Board of UnitingCare NSW/ACT.